This is a simple and easy gravy prepared within 20 minutes. This easy masala doesn't need a lot of ingredients and makes the perfect side dish for roti, nann and fried rice. You would be surprised how quickly a gravy can come together. There is no need for any soaking, grinding or pressure cooking. The most important step in this recipe is you have to cook the mushrooms perfectly for the nice texture. This masala requires some good amount of oil and medium high heat while sauteing the mushrooms. The leftover​ masalas can be mixed with cooked macaroni or pastas and you can enjoy a delicious mushroom pasta. 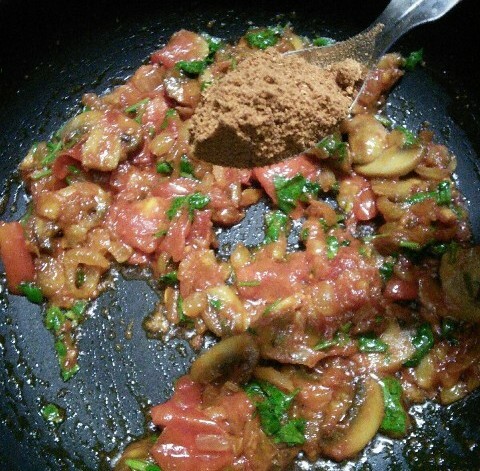 If you want more spicy masala, you can sprinkle a tsp of pepper powder after cooking the masala. 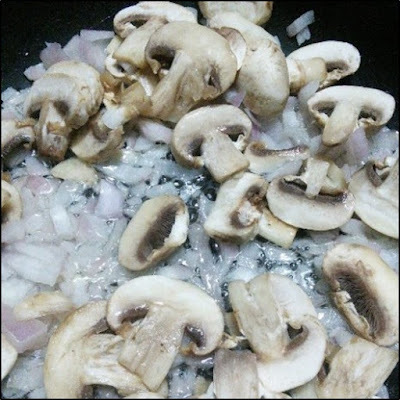 Let's see how to prepare this Easy mushroom masala with step by step photos. 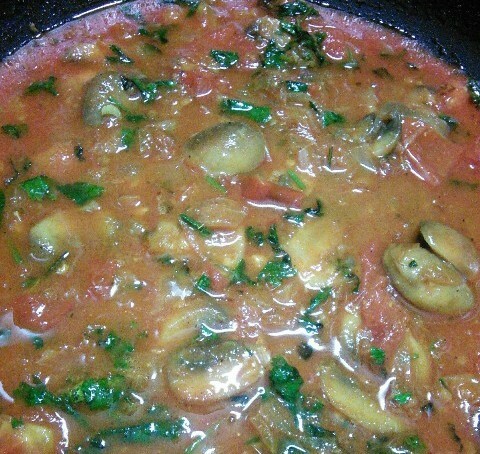 My other recipes with mushrooms Mushroom 65, Red Soya beans and Mushroom Kurma. 1. In a wide pan or kadai heat 2 tbsp oil over medium heat. 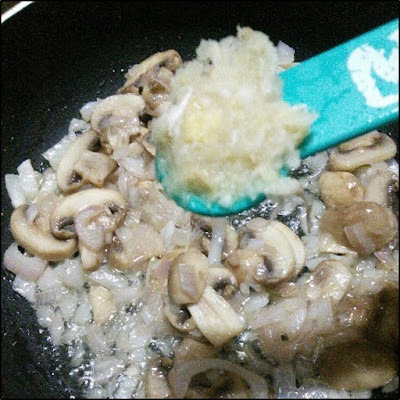 Add in the mushrooms and onions and saute until they are lightly browned. 2. Next, reduce the flame and add the ground ginger garlic paste. Stir the paste until fragrant. (No need to brown them). 3. 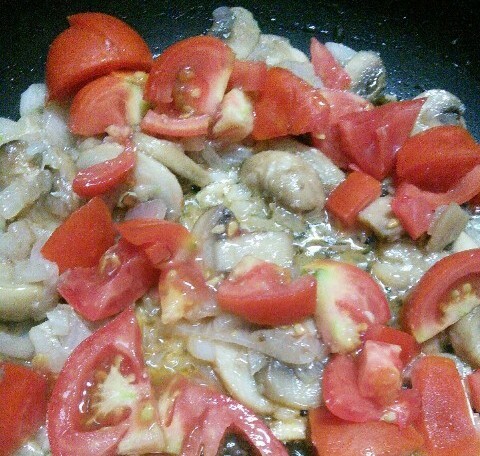 Then add the tomatoes. Saute it till the tomatoes turn soft. 4. 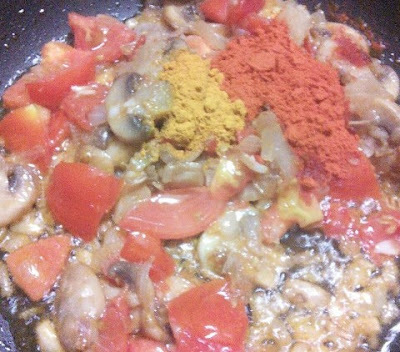 Now add the chilly powder and turmeric powder. 5. Now season with the required salt and stir it well. 6. 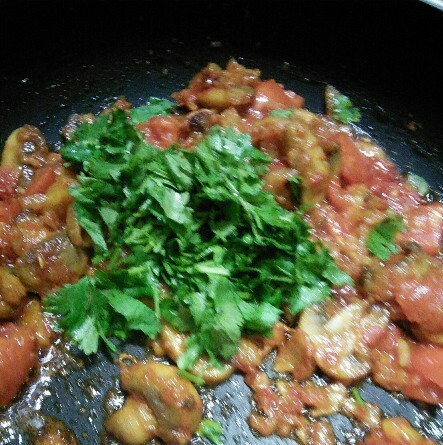 Now add the chopped coriander leaves and stir it. 7. 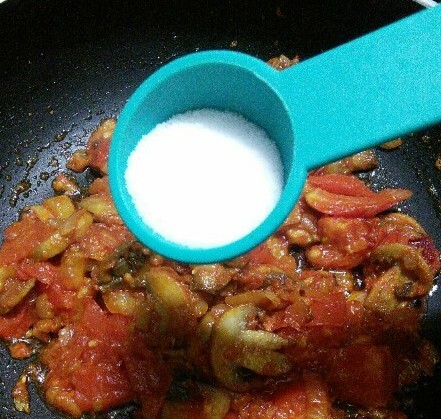 Now add the garamasala powder. Stir very well. 8. Then add 1 cup of water or as required. Stir very well. 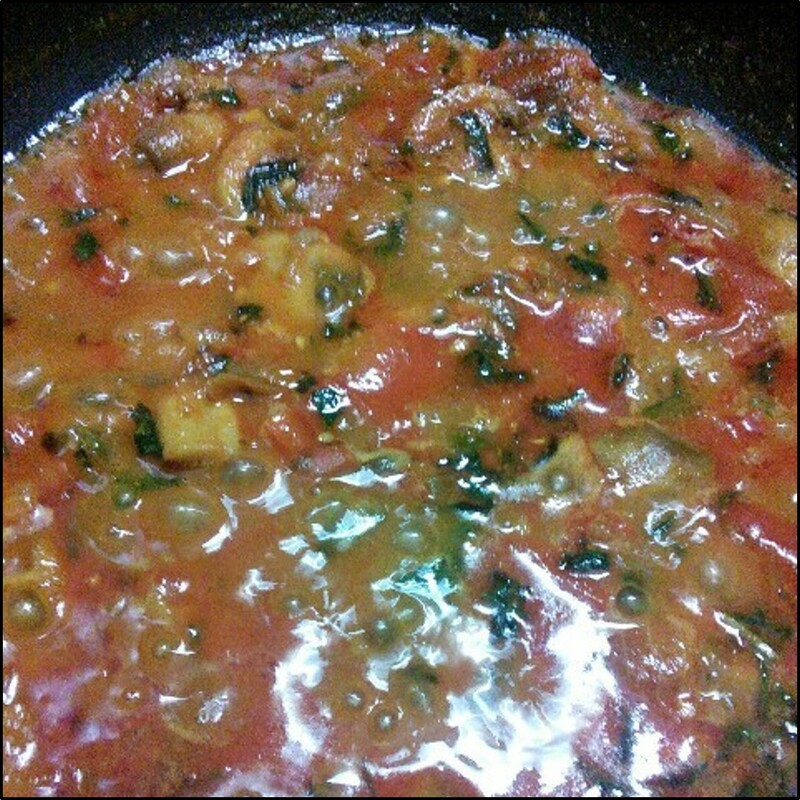 Cover it with a lid and simmer the masala for 10 minutes. 9. When the gravy has thickened a bit and the oil floats on top switch off the flame and transfer it to the serving bowl. 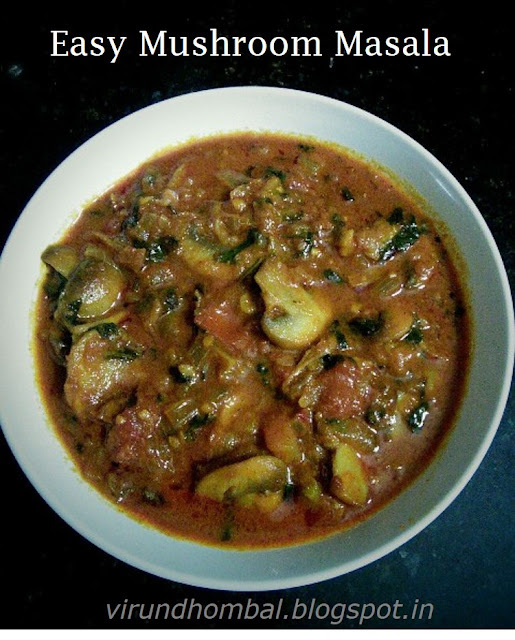 If you try this recipe for Mushroom masla send us your comments below and share the recipe for your friends and family.